Window Box Gardens showcases other people's small gardens. Gardeners share photographs and description of their gardens. Maybe we can hang window boxes off our window guards...! If you would like to see your garden here, please email us at info(at)localecology.org. Today's garden belongs to Jared Braiterman, PhD, a design anthropologist, and editor of Tokyo Green Space. 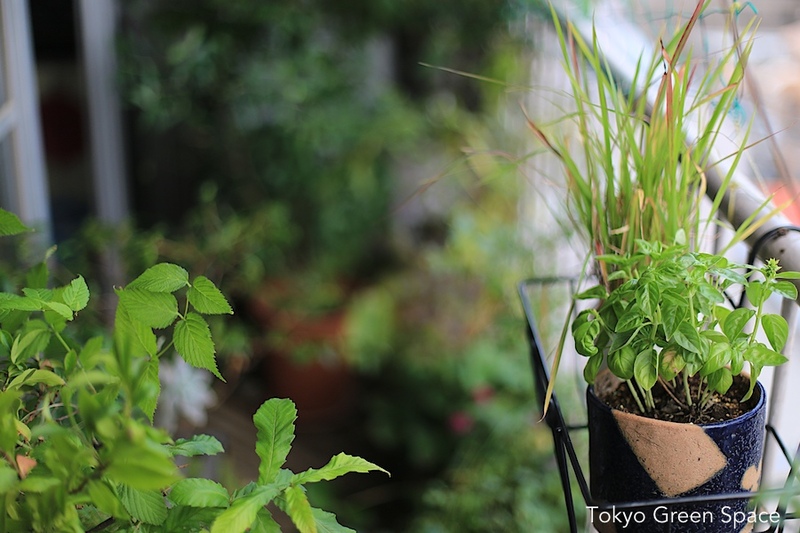 What to plant in my Tokyo summer window boxes? I have chosen some local plants and some exotics, all of them inexpensive and found at local flower shops. I chose a mix of flower, foliage, fruit, herb, and vine. Some I’d been planning to grow this year, others I chose because of surprise, price, and convenience. Most will be repotted into ceramics that I made myself at my in-laws craft studio, Kuge Crafts. Just last week I saw this gorgeous dwarf fig, full of fruit. For just 700 yen (about US$ 7.25), I couldn’t resist. I’ve seen that one of my neighbors has a mature fig tree growing in a plastic pot on the sidewalk, so I expect it might thrive on my balcony, too. Thinking about summer flowers for a small space (approximately 1 meter by 5 meters), I purchased two colors of Edo morning glory vines. They are the classic Tokyo summer flower. I also bought a small Ixora for its bright orange color that reminds me of warmer climates. Here they are still in the plastic containers the day I bought them. I also have a number of succulents that I’m hoping will enjoy the summer heat. My plan is to put them on the hottest part of the balcony, which is just above the air conditioner. I expect to be using the AC heavily in July and August. 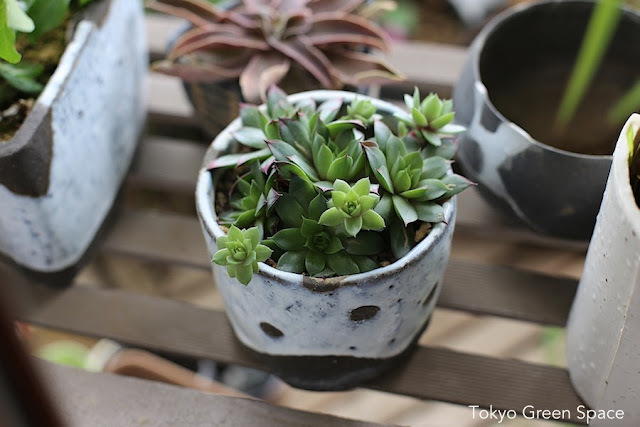 Succulents are colorful, easy to grow, and it’s fun to match them with hand-made ceramics. I’ve already planted basil on the balcony railing. In summer it’s great to have fresh herbs near the kitchen. Here you can see my basil in front of a grass that I like because it catches the wind on the narrow 10th floor balcony. I’ll also grow Italian parsley, rosemary, and thyme. 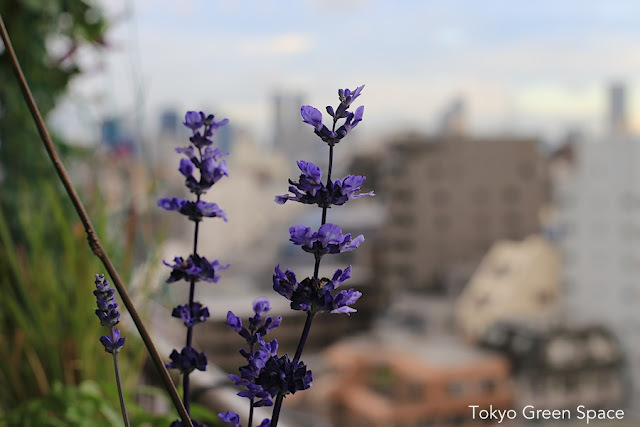 Finally, the salvia, which I purchased for 100 yen at the supermarket next door to my building, adds a pop of deep blue color. I think this color will be very cooling during the hot weeks ahead. I also like how the form contrasts with the Shinjuku skyscrapers in the background. 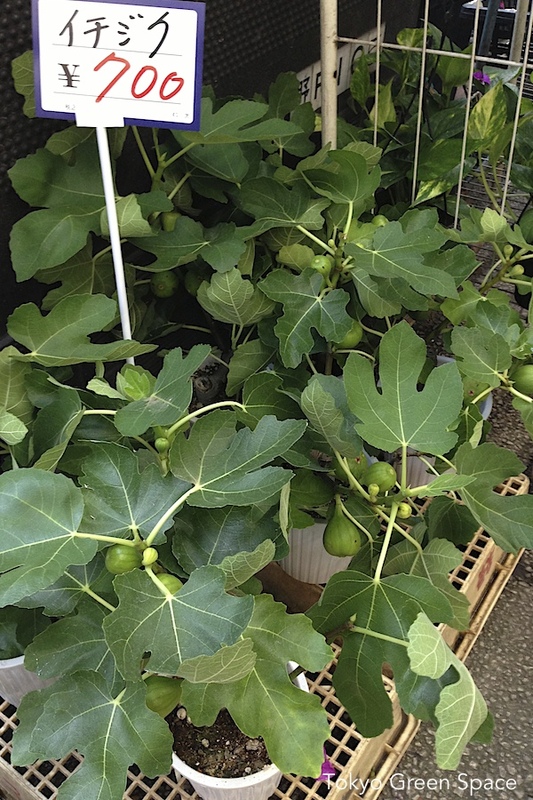 Thank you, Jared, for contributing this essay to Window Box Gardens. P.S. 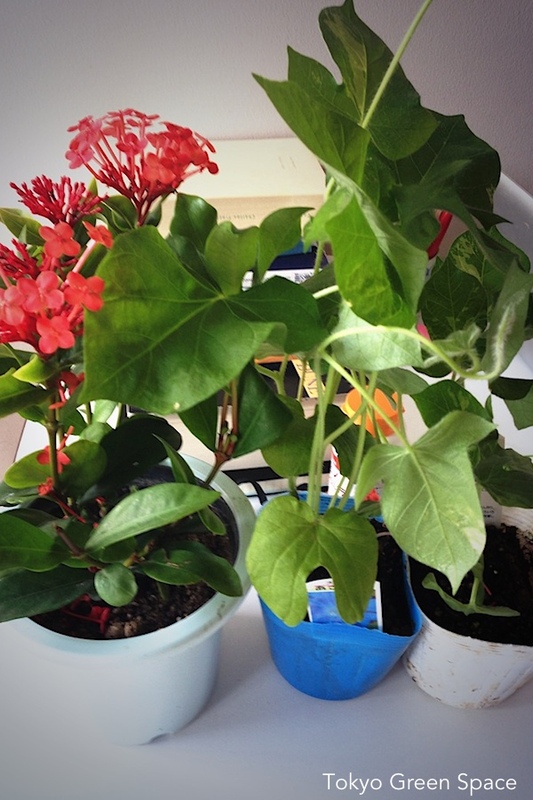 The first post in this series is by and about author Melissa Harrison's South London garden.